A person who goes to court without being represented by a lawyer is called “self-represented, ” or “pro se”. (Pro se is a Latin term that means “for oneself”.) While you have the right to represent yourself, it is a good idea to have a lawyer advise you and represent you in court. If your legal issue involves a criminal matter, check with the Public Defender’s Office to see if you qualify for assistance. All information and forms found on this site are designed to provide you with legal information and applicable resources. This site does not provide legal advice, nor is it intended to be a comprehensive summary of the laws and issues relevant to your case. Though you have the right to represent yourself, you should do so only after trying to obtain representation. If you have a prior, legitimate conflict with a court date provided to you by the court for the hearing of your case it will be necessary for you to request a continuance in writing. A protective order has been issued against a spouse. Visit Forms to view and or download Divorce Forms. 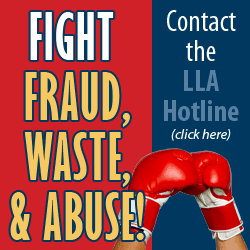 Louisiana law sets forth specific forms which must be used in seeking an expungement. These forms are found in Louisiana Code of Criminal Procedure Articles 987 through 933. Additionally, expungement forms provided by the Louisiana Clerks of Court Association are available at www.laclerksofcourt.org. These forms may be filled out on-line and printed, or printed and filled out by hand. Get Organized and Gather Your Materials. Collect all materials related to your case. Organize your documents. Make copies of all documents for the court and other parties. If you receive court papers, read them right away. They often include dates important to your case, such as when you have to file papers or go to court. Know the Law and Your Case. If you do not have a lawyer, you will need to learn about the law that applies to your case, court procedure and rules of professional conduct in the courtroom. If there is a pending court case, review the paper in the court’s record maintained by the Clerk of Court. Complete the Court Forms and Documents. Cases are started by filing a petition or motion that clearly states the issue of the case and the resolution being sought. You may be required to respond to the lawsuit or file papers with the court. Legal forms and documents can be complicated and it is usually best to consult a lawyer. However, if you proceed in representing yourself, forms may be available for your use as provided by those resources listed in “Other Resources for Representing Yourself”. Please click here for the link to “Other Resources”. Filing Court Forms and Documents. Filing court forms costs money. If you do not have money to file, you can ask for a court order to let you file papers without paying in advance. To do so, you need to file a form called an “In Forma Pauperis” form, or “IFP” for short. You can complete this form online at the Louisiana Supreme Court’s website: www.lasc.org/rules/dist.ct/COURTRULESAPPENDIX8.0.pdf. This document will outline your financial situation so that a judge can decide whether or not to waive the fees. However, you should be prepared to pay all associated costs to file your case in case the judge does not grant a fee waiver. Witnesses can testify about facts to help tell your story. They should know the case and have seen or heard the evidence themselves. If you have a witness who can support your case, you should bring them with you to court. At court, both you and your witnesses should follow a business dress code. Court is a business type of environment. Dress in a way that shows respect for the court. Courtroom attire includes long pants, a skirt or dress, shoes and or an appropriate shirt without slogans or advertisements. You should avoid wearing shorts, tank tops, flip-flop sandals and hair curlers. Arrive at the courthouse at least 30 minutes before your scheduled court appearance. It is very important that you allow time to park and find your courtroom. If you miss your hearing, the judge can make decisions that you may not agree with and which could seriously affect you. Upon entering the courthouse, you will be expected to pass through a metal detector. Any metal object on your body must be removed and inspected. How Do I Find the Correct Courtroom? Most courts post a list of cases in the lobby of the courthouse. If you need help locating your name, ask a court employee for help. Contact the clerk or the bailiff in the courtroom to let them know you have arrived and to make sure you are in the correct courtroom. Let them know if you need to leave the courtroom for any reason. Bring copies of all documents that you have filed with the court and that you have been served with. The court will not have these documents for you. Also bring copies of the documents that support your case. Organize your evidence so that it is easy for the judge to understand your side of the story. It is very likely that you will have to wait for your case to be called, depending on the number of other people in court that day and the order in which the judge calls cases. For some cases, you might need to plan on being there all day. Some courts do not allow children in the courtroom. Make sure to schedule enough time away from work or for child care so that you will not miss your court appearance. The Louisiana Secretary of State maintains a Registry of Living Will Declarations pursuant to Louisiana R.S. 40:1299.58.1-10, Act 382 of 1984, as amended. Additionally, the Louisiana Secretary of State’s website provides a Living Will Declaration Form. The Louisiana state’s Governor’s Office of Elderly Affairs provides the form Louisiana Health Care Power of Attorney. These forms may be filled out online and printed, or printed and filled out by hand. Visit the website to complete this form and obtain more information concerning a health care power of attorney. Additional library branches are located in Abita Springs, Bush, Causeway-Mandeville, Folsom, Lacombe, Lee Road, Madisonville, Mandeville, Pearl River and Slidell. Additional library branches are located in Bogalusa, Enon and Thomas. A person who is or has been in a social relationship of a romantic or intimate nature with the abuser can ask the court for protection from an abusive person by filing a Petition for Protective Order. You can file a petition for protective order for yourself or on behalf of children or both. You can also file this petition on behalf of an incompetent person who is not capable of filing for him or herself due to a medical or mental disability. Visit www.lasc.org/court_managed_prog/LPOR/pro_forms.asp to view and or download Protective Order Forms. If you need help, there are deputy clerks trained to assist you at the St. Tammany Parish Clerk’s Office and the Washington Parish Clerk’s Office. Anyone within this state seeking to prohibit abusive behavior (not necessarily involving a family or dating relationship) including actions which may result in irreparable harm or injury, may seek a restraining order pursuant to La. Code of Civil Procedure article 3601. A petition for restraining order must be filed in the city court or parish district court where the victim believes the abuse will happen. Note that a city court’s jurisdiction is limited to inside city limits. See Domestic Abuse for assistance in obtaining protection regarding a family or dating relationship pursuant to the Domestic Abuse Assistance Act and the Protection from Dating Violence Act. Visit www.lasc.org/court_managed_prog/LPOR/pro_forms.asp to view and or download Restraining Order Forms.